The family getaway you have been waiting for. "This Vietnam Family Holidays has been designed with the a pace specifically suited to children, allowing time for resting and regrouping. Parents and kids alike will love the coastline and the charm of canient Hoi An"
Welcome to your holiday. A private transfer will take you through the entertaining streets of Hanoi, passing overloaded motorbikes, street stalls and distinctive architecture to your centrally located hotel. Take a family friendly tour in the morning, absorbing the highlights of this vibrant city, including an electric cart ride through the chaotic Old Quarter. In the evening enjoy the Water Puppet Theatre show. Leave the city excitement for an unforgettable two-day cruise on the tranquil waters of Ha Long Bay. Kayaking, cave visits, floating villages, swimming and delicious onboard meals will fill your day with treasured memories. After a scenic morning on the bay and lunch onboard, journey back to Hanoi for a final night in the capital. Don’t miss the Hanoi’s world-renowned street food before you leave. A short flight takes you to Da Nang for your transfer to the historic World Heritage town of Hoi An. The streets of this charming town are filled with tailors, galleries, funky shops, restaurants and historic landmarks. With access to the streets limited to pedestrians and bicycles at most times of the day. An Bang beach is inly 6km away. Optional activities include cooking class, bicycle tour, abseiling, historic My Son ruins, Marble Mountain, snorkeling, shopping and the beach. Or you can get a new wardrobe tailored for the family. A free day to relax in town or at the beach or book one of the many optional tours that we can include. Another free day to in paradise. 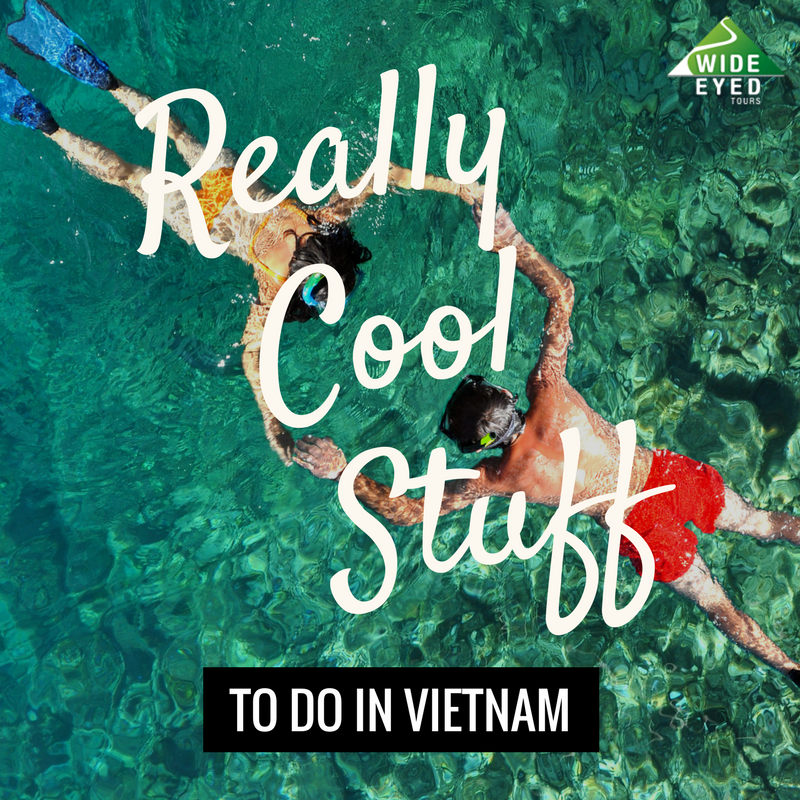 A brief flight takes you to the southern beaches of Nha Trang, a lively town full of amusements for all ages. This town is famous for its seafood so be sure to indulge before you leave. Free time to enjoy the white sandy beaches, mud baths, cable car and Vinpearl Land amusement park or take a boat trip around the islands for some snorkeling. A final free day to enjoy the beach activities and amusement park. A quick flight takes you to the modern metropolis of Saigon, with its crazy traffic, fabulous shops and neon lights. Night shopping at the Ben Thanh market is the best place for a bargain. Visit the former Viet Cong stronghold at Cu Chi Tunnels, a 1.5 hour drive from the city. This half day engaging tour will fascinate and educate the children. Departure Day with a private transfer to the airport. Three domestic flights with transfers. Family of 4 with 2 children aged between 6 and 15.